Links - Painter/Decorator based in Ashtead, Surrey. Links Home & Garden provide a first class painting & decorating service in Surrey and surrounding areas, with 25 years experience in the trade. We specialise in all aspects of interior and exterior painting & decorating and pride ourselves on the high standards we set. We undertake work on homes and small commercial properties and our aim is to help you make the most of your property. We always take time to listen to clients requirements and fully discuss everything with them before starting a job. We are punctual, courteous and tidy workers, treating our clients home with respect at all times. We are committed to delivering an excellent service and standards to all our clients so please get in touch and we will be delighted to discuss what we can do for you. 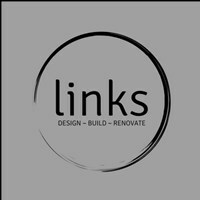 Links, helping you make the most of your home & garden.